explore the AUREA gTOXXs analyzer for your testing solution! 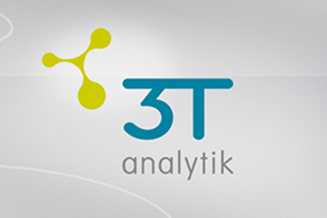 Contact paula.braun@3t-analytik.de to arrange your individual appointment! get in touch with our QCM-D experts at the IGZ booth! get in touch with our QCM-D and Genotox Experts at booth A3.316. New instrument innovations are waiting to be explored by you! Board number: 1529/P747 - Applicability of HepaRG cell line for automated assessment of DNA strand breaks AND Board number: 1523/P741 - Organotypic human epidermal skin models and genotoxicity - safety assessment for dermal applications. Our Tox Experts welcome you at booth # 1253 of our partner Hettich. be part of the team! live demo of QCM-D qCell T series automatic surface interaction analysis with electrochemistry features. January 25, 2018 at the RWTH Aachen, Chair of Biotechnology. Explore the advantages of the qCell T series with hands-on training - only 2 seats left - click here to book your participation! Attend the Lecture/Webinar of 3T's latest Automated Genotox Solution with AUREA gTOXXs. The 9th National Conference on Environmental Chemistry, Zhejiang University, Hangzhou, China. Meet our partner BIOTIMES and explore surface interaction analysis with QCM-D in environmental research. CCMX-MARVEL Materials Day/CCMX Annual Meeting, Empa-Akademie, Dübendorf. 15:00h-17:00h to receive information about the AUREA gTOXXs Analyzer and QCM-D products. meet our partner P.T. Mequest Jaya Global to get the latest news about our QCM-D instruments! surface interaction analysis as per traditional QCM-D technology with the full range of electrochemical experiments. 53rd Congress of the European Societies of Toxicology, Bratislava, Slovak National Theatre. 15:00h-18:30h to receive information about the AUREA gTOXXs Analyzer. JASIS Exposition, Makuhari Messe, Japan. 3T analytik's partner Techscience will be glad to show you more information about our qCell T and its applications! 66th SPSJ Annual Meeting, Chiba-city, Japan. Meet our partner Micro Photonics at booth no.121 and experience how the qCell T eChem can ease your chemistry research processes! Meet our experts at booth 2647. Our partner Hettich Lab Technology is looking forward to welcome you! Visit our partner Techscience at booth 6G-06 to learn more about qCell T and its applications! Meet our experts at booth 319.
our partner Labsun will exhibit our qCell T at booth number 609.
our partner Labsun will exhibit our qCell T in Hall N3 at booth #3300.
meet us at this great event! Our partner IGZ will exhibit our instruments at booth no.6. Our partner IGZ will exhibit our qCell T at booth C 201.